Do you know how many active YouTube Gaming channels there are? About 387,078. That number has been growing exponentially, and despite the intense saturation of the gaming space, creators are still breaking out. However, only 20 gaming channels have ever made it across that 10 million sub mark in to the diamond button territory. Some of these creators will be inherently familiar, some may not be. Here's the top 20 and everything you need to know about them. The world's highest-paid YouTube star in 2016 (and the sixth most paid in 2017), the Swedish gamer Felix Kjellberg is still topping the Gaming category by about 30 million subscribers. The letsplayer rose to fame in 2012, hitting that one million subscriber mark in July. He's grown expotentially since; at 62 million subs, no other YouTuber has come close to knocking him off the top spot. Kjellberg hit the peak of controversy last March, after posting a number of videos thought to contain anti-semetic messages. His multi-channel network partner Maker Studios, a subsidiary of Disney, severed ties with him, and he was booted from YouTube's Red platform and the Google Preferred program. While his brand is somewhat tarnished, he still makes regular content and continues to make millions from YouTube revenue alone. Luis Fernando Flores, known as Fernanfloo, is an El Salavadorian YouTuber and personality that focuses on letsplays, vlogs, and comedic sketches. He rose to fame after he began doing GTA: V letsplays in 2013. 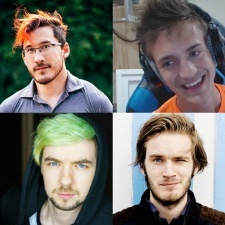 He's now considered the fastest growing YouTuber in the world, surpassing the growth rate of Pewdiepie. He's now also one of the highest paid YouTubers in the world, too. He sits at an astounding 27 million subscribers after hitting that 10 million mark in March 2016. Germán Alejandro Garmendia Aranis started JuegaGerman in May 2013. As of today, his gaming channel JuegaGerman and his second channel Hola Soy German have a collective 58 million subscribers. Aranis hit the 10 million sub mark way back in November 2015, and was also the first YouTuber to earn two diamond Play Buttons for getting to separate channels to 10 million subs. The creator also recently worked on a campaign with Space Ape Games, to promote the game Fastlane. Canadian-born Evan Fong dropped out of the University of Pennsylvania to pursue his online career full-time. 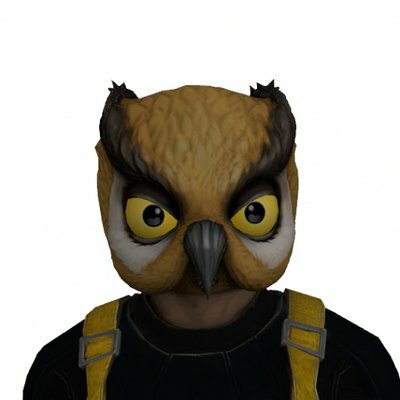 On his YouTube channel, where he goes by VanossGaming, he chats and makes jokes while playing games like Call of Duty or Grand Theft Auto, often with friends and collaborators. In 2016, he began voicing a character in adult cartoon series 'Paranormal Action Squad' for YouTube Red. Fong hit the 10 million mark in early 2015. He now sits at a respectable 22 million. Samuel de Luque a.k.a VEGETTA777 is Spanish YouTuber famous for uploading gameplays of Minecraft, Battlefield, Saint's Row, Garry's Mod, and several others. He also makes movie-style letsplays. He joined YouTube in 2008, and hit the 10 million mark in June 2015, just before JuegaGerman did. Like a lot of early YouTube gamers, Minecraft was his catalyst. He still makes regular Minecraft content for his fanbase of over 22 million subs. Mark 'Markiplier Fischbach is an American Youtuber originally from Honolulu, specialising in survival horror and action games with sensationalised commentary. He began his YouTube channel in 2012, however due to his adsense account being suspended, created a new one in 2013. Fischback also broke 10 million subs in 2015, and recently broke 20 million. In 2017, Fischback won the best streamer award at the annual Golden Joysticks. Outside of gaming, he is signed to Californian talent agency William Morris Endeavour, and has expressed an interest in acting. Sean 'Jacksepticeye' McLoughin is an Irish video game commentator and internet personality, known primarily for his comedic letsplays and vlogs. Although he's been on YouTube since 2007, Jacksepticeye only shot to fame after being mentioned in a Pewdiepie video in 2013. Since then, the pair have collaborated on a number of projects. He hit 10 million subs in May 2016, and has a sweet 18 million today. In January 2018, McLoughin began producing exclusive content with Twitch in as part of a deal with Disney's digital network. Dan Middleton, known as DanTDM, is an English YouTuber that shot to fame due to his coverage of Minecraft. The gamer is popular in the Minecraft sector due to his child-friendly content, which has now extended in games such as to Roblox and Tomodachi Life. Middleton is a regular attendee at a number of conventions across the UK, and regularly tours an interactive live show, where he plays video games with his fans. The Diamond Minecart earned his diamond Play Button in March 2016. Since then, he's amassed a nice 18 million subs and was named the richest YouTuber of 2017, raking in a sweet £12.3m. Pedro 'Rezendeevil' Rezende is a Brazilian YouTuber specialising in daily vlogging, comedy and letsplays. Pedro Alfonso has amassed over 12 million subs uploading daily videos. He hit 10 million subs at the beginning of 2017, a little later than the rest of the aforementioned YouTubers. He's amassed 16 million to date. In 2017, Rezendeevil was nominated for a Nickelodeon Kid's Choice award for best Brazilian Personality. PopularMMOs is a Minecraft centric channel headed by Patrick and Jennifer Brown. The pair started the channel in 2012, with Jennifer heading on to start her own channel later that year. Pat and Jennifer married in 2015. 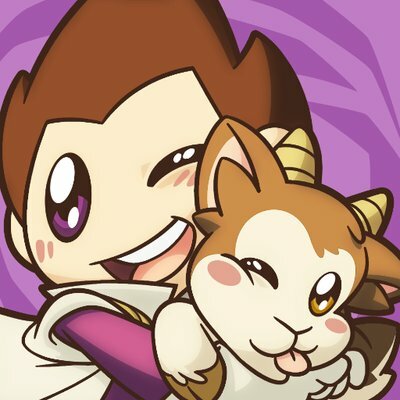 The PopularMMOs channel surpassed 10 million subscribers in December 2016, and now has 14 million. The declining interest in Minecraft may have contributed to their growth stunt, but the channel still racks up impressive viewcounts consistently. Guillermo Díaz, better known as TheWillyRex online, is a Spanish YouTuber and author. His content is a rich plethora of games coverage, though he seems to have been focusing on Fortnite of late, which has proven to be a great idea everywhere. The gamer hit 10 million subs in June 2016, around the time, following in the tracks of other Spanish creators such as VEGETTA777. Díaz released a mobile game called Karmarun with VEGETTA777 and YouTuber Staxx, which has been downloaded over two million times. Marco Tulio is a Portugese YouTuber focusing on Minecraft and Roblox. His channel shot to game in 2013, where he began to ride the trend of YouTubers covering Minecraft alone. He recreates a lot of fictional worlds in Minecraft, and his channel is child-friendly. The YouTuber has also written an autobiography about his life and career as a creator. Tulious' channel bagged the diamond play button in June 2017. As of today, he's collected a tasty 13.5 million. Alistair 'Ali-A' Aiken is a British YouTuber, whose content is based on Minecraft, Pokémon GO and Call of Duty. Recently, Aiken's focus has been on Fortnite; he even worked with Epic Games to debut some of Fortnite's new features at GDC 2018. He occasionally collaborates with YouTube group 'The Sidemen'. He also holds a Guiness World Record for having the most subscribers on a Call of Duty orientated YouTube channel. Ali-A broke the 10 million sub mark at the beginning of 2018, and seems to have enjoyed a surge of an additional three million subs since. The success of Fortnite may or may not have contributed to that surge. Harry Lewis, known as W2S, is an English YouTuber, who's channel revolves around FIFA videos. He's the youngest member of YouTube group 'The Sidemen'. He's recognised by his brash personality, often smashing his controller in a rage during videos. Last year, W2S was the subject of a feud with Sidemen founder and fellow YouTuber KSI. The pair released diss tracks about each other which led to an online controversy. Lewis smashed past 10 million subs in April 2017, and rests now at just over 12 million. As you can see, fellow Sideman Ali-A has overtaken him by a cool million subs. Maybe W2S should do some Fortnite. 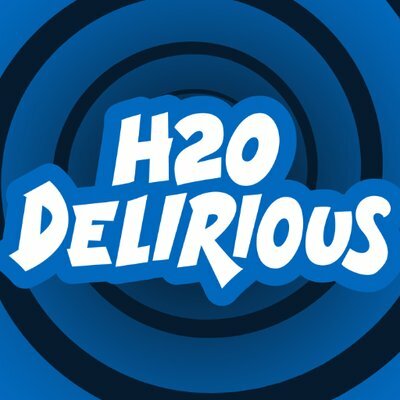 H20 Delirious is a reasonably elusive YouTuber, known for his manic personality. He is yet to reveal his full name or face to the internet. He covers a lot of popular games, and often collaborates with friends on his own and other channels. We do know that H20 is from North Carolina. He's teased face reveals in exchange for subscriber milestones but is yet to actually release what he looks like or who he is. The channel hit 10 million subs in January 2018, and now sits at 10.6 million. Am3nic, headed by a Eduardo Fernando, is a Brazilian channel focusing on vlogs and Minecraft content. Again, he's a fairly elusive creator, there's not much information on him past YouTube. His channel comes recommended alongside the likes of the much larger Rezendeevil, which may have contributed to his surge in popularity. Am3nic snagged the diamond Play Button just in April 2018 and as such is a newcomer to this list. In case you were wondering, that means 'Your channel to be happy'. 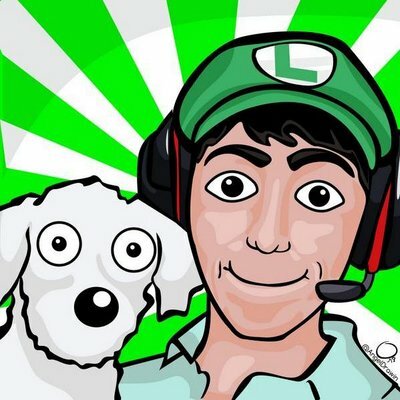 iTownGameplay is a Spanish Minecraft centric channel run by Alváro Martinez. The channel features a host of other YouTubers, such as Dashiel and BersGamer. The channel grabbed it's 10 millionth subscriber in April 2018. iTown didn't experience any unreasonable surges, but has grown steadily since since 2015. Alavaro also has a second channel, HMAlavaro, where he uploads his own music. He also has another two channels that have since been abandoned. The Game Theorists is a series created by Matthew Patrick, known as MatPat. The YouTube series explores the logic, scientific accuracy and lore of video games, and in the industry surrounding them. TGT hit 10 million subs in April 2018 after a steady grind over the past few years. As well as running The Game Theorists, MatPat is also a Social Media Consultant for Viacom. The Game Theorists won a Streamy Award in 2017 for 'best editing'. Jordan Maron, known as Captain Sparklez, is a Los Angeles based YouTuber, who's channel revolves around Minecraft letsplays, animation, and other various games. In addition to his channel, Maron also runs XREAL, a mobile gaming company. XREAL released 'Fortress Fury' in 2015. Formerly named 'Fortress Fallout', until Bethesda took legal action over the use of the word 'Fallout'. Maron also runs a channel dedicated to making music. Sparklez earned his 10 million subscriber button around August 2017. While his growth has plateaued since, he still remains popular among the YouTube Gaming community. So technically, Ninja hasn't hit 10 million yet. He's crept in to the last spot because someone who used to be on this list is no longer a gaming creator. However, considering that Ninja's YouTube channel amassed a casual nine million subscribers by April 2018, I might as well chuck him on the list. What's another 700,000 at this stage? 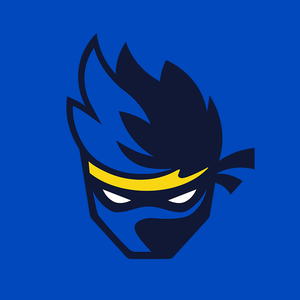 The industry is no stranger to Ninja's success right now; he's broken records left right and centre, streamed with celebrities, rakes in an estimated cool $1m a month from Twitch subs, and is generally just the biggest influential force that that the gaming space has seen for a long time.